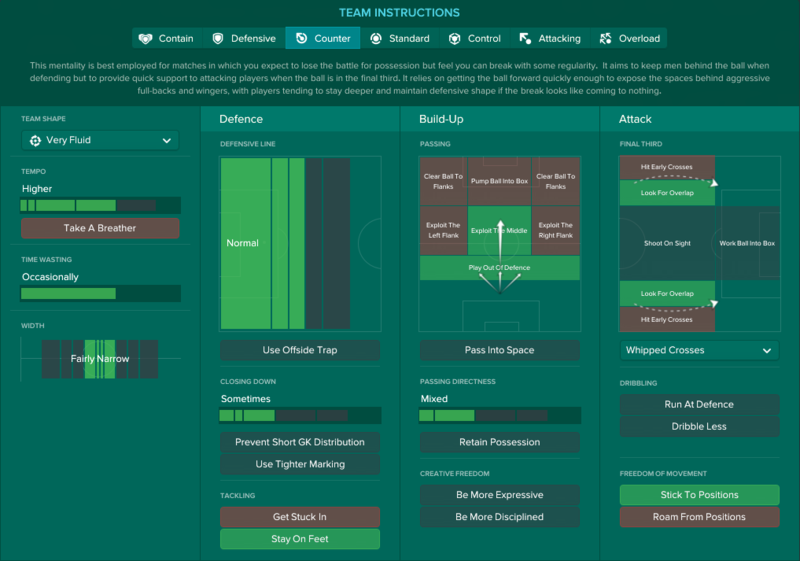 Here’s Alex Stewart on how to adopt Atletico Madrid’s tactics in FM17. 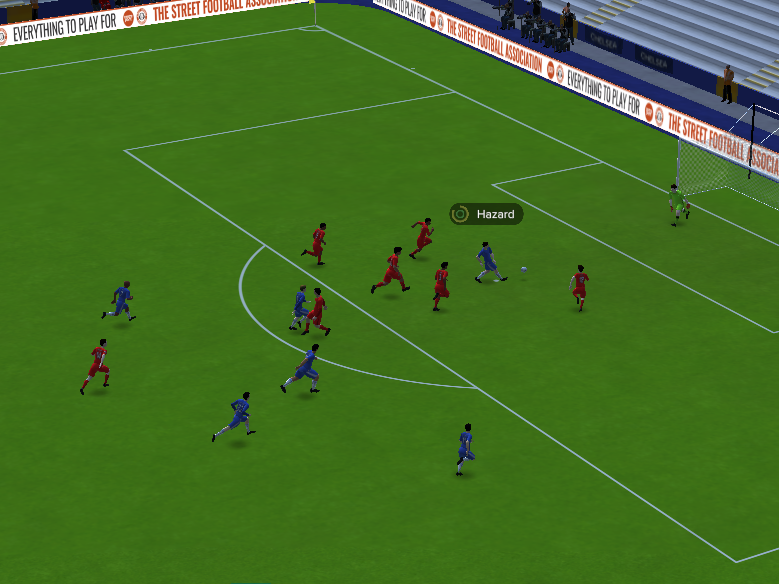 And here’s Iain Macintosh’s Champions League final in the Arsenal challenge. Frank Lampard hung up his boots earlier this year, and boy, was he a player. 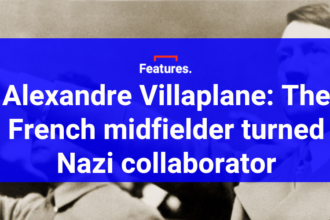 Fourth highest Premier League goal scorer, most goals from outside the box, second most assists in the Premier League, Chelsea’s top scorer of all time – there’s very little that Frank could have done more to solidify his reputation as one of the great midfielders of the modern era. Lampard had two especially stellar seasons: 2009/10, when he averaged a goal or an assist every game under Carlo Ancelotti, and 2004/05, the first season of Jose Mourinho’s empire-building exercise. Ancelotti was tactically flexible, using a diamond midfield, a Christmas tree like the one he used at AC Milan, and a 4-3-3. 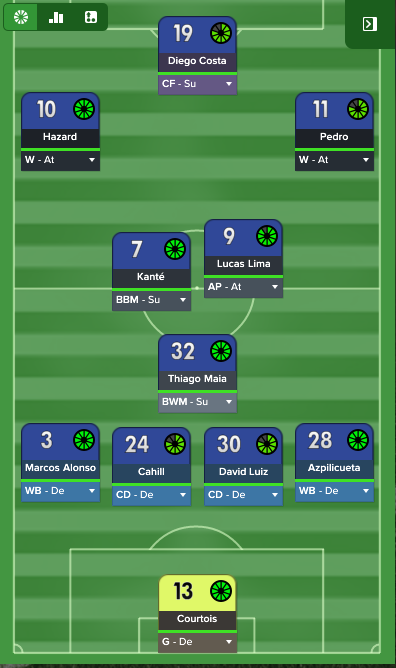 Mourinho was more straightforward and, in honour of Lampard, I’ve decided to recreate his tactics for FM17. 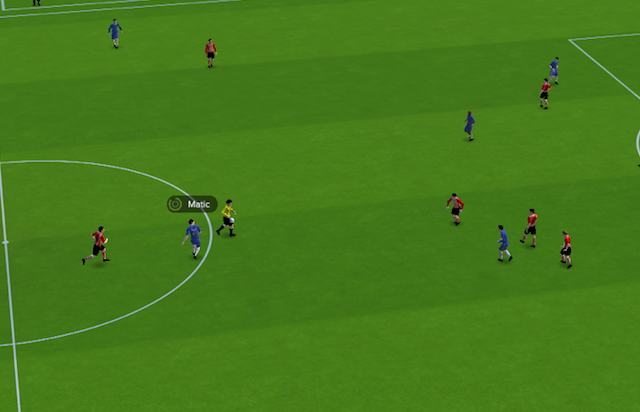 Mourinho used a 4-3-3 that in the game is most clearly replicated with a 4-1-2-3 DM Wide. As with most of the Special One’s teams, counter-attacking at pace, defending as a team, and pressing the players out wide (having forced them there with a congested midfield) are the foundations. The full-backs are set to wing-back on defensive mode, able to push up but not neglecting their defensive duties. 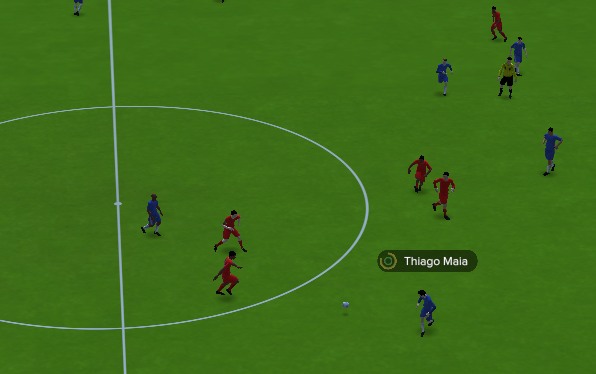 The Makelele role, for which I am using new acquisition Thiago Maia, is set as a ball-winning midfielder on support – while big Claude was more of an anchor man, that role seems a bit underpowered in this version of the game, and the BWM does the job ably. 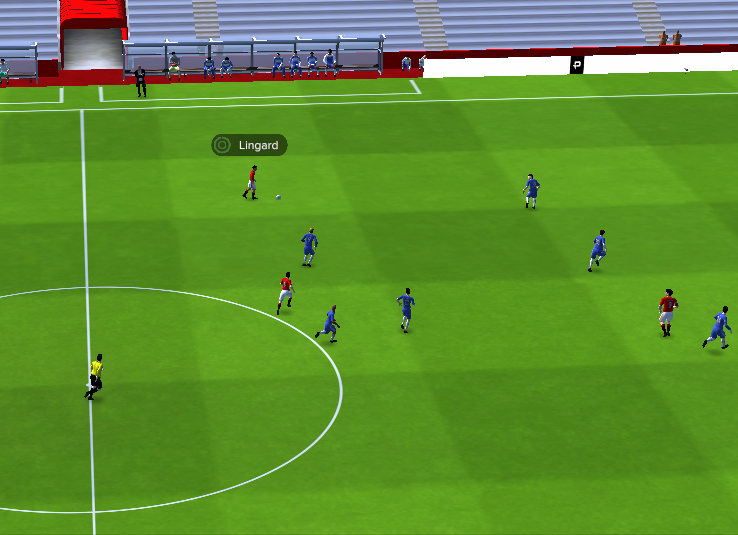 The wingers are on attack, either side of a complete forward on ‘support’, to replicate the trident element of a 4-3-3. And, crucially, the two central midfielders are set as box-to-box (the Essien role), and an attacking playmaker on attack, Lampard’s position (here played by Lucas Lima). Lampard was somewhat a box-to-box player, but his creativity and his ability to get up to the edge of the area to score is best replicated by the role I’ve selected. The midfield is all about creating triangles, passing options from the BWM to the other two central midfielders, either forcing the opposition midfield to push further up or dragging their wide players in, which leaves space on the flanks. Two further points: a classic Mourinho trick with Arjen Robben and Damien Duff, the two superlative wingers he had, was to swap them during the game, so that they would be wingers for a while and then effectively inside forwards, cutting inside onto their stronger feet. Robben was especially dangerous in this way, and it’s worth doing this during the game as well, with players like Hazard who can do either role equally well. Determination, decision-making, and concentration are all key. Effectively, these would be great numbers for someone in the defensive midfield role, but Mourinho demanded these sorts of mental attributes from all his players, disciplined and tactically astute, and you should keep that in mind when buying players. The system works well, especially at Chelsea. 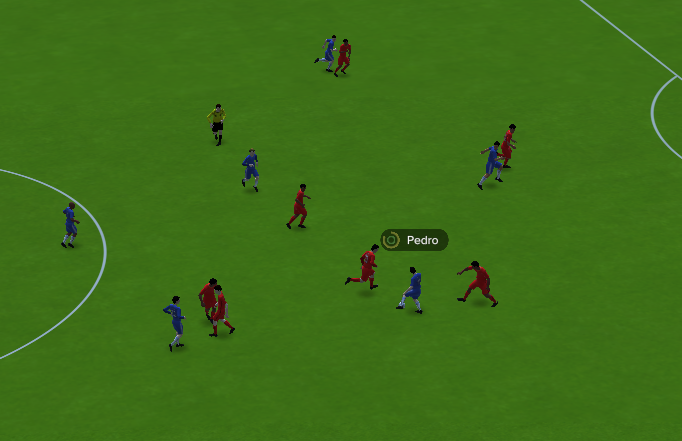 As you can see from the goal below, the second against Liverpool in a 3-1 win at home, Maia receives the ball from Kante in a triangle set-up, and sweeps it forwards to Pedro, who has drifted in-field slightly. Pedro plays it to Costa, who then feeds the ball through to Hazard, on a Robben-esque burst into the box, before slotting home. Quick, brutally effective, and ruthlessly clinical – that was Mourinho’s Chelsea in 2004/05, with Lampard central to his efforts. 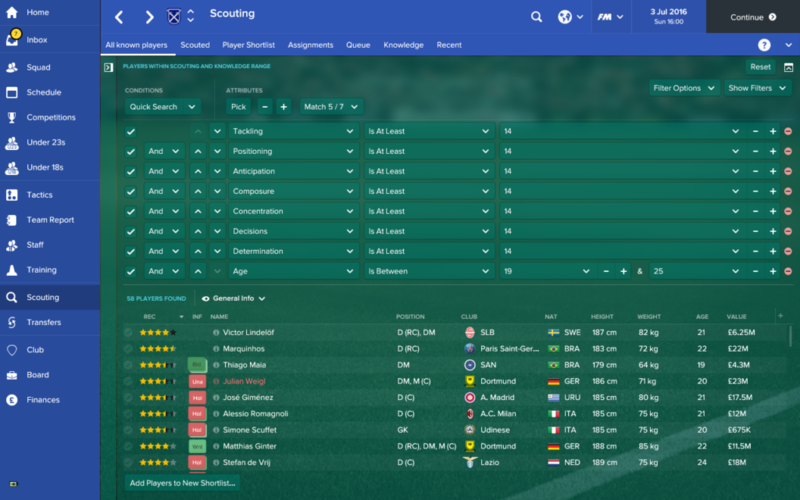 The Blues style from that era can live on with this tactic. 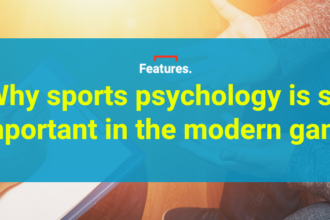 This article first appeared on the BetBright blog.